Ballarat based artist Anna Placidi’s work takes on a celebration of still life and captured moments in time, of themes inspired by nature, plants and insects as well as reinterpreting intricate embroidered patterns, textiles and porcelain that she has sourced and carefully combined with everyday objects and flowers from her own collection. Anna’s deep love and inspiration for nature has its origins in a childhood growing up on large remote rural sheep stations in Northern NSW and the Western Districts, where she would often spend days exploring the countryside around her. 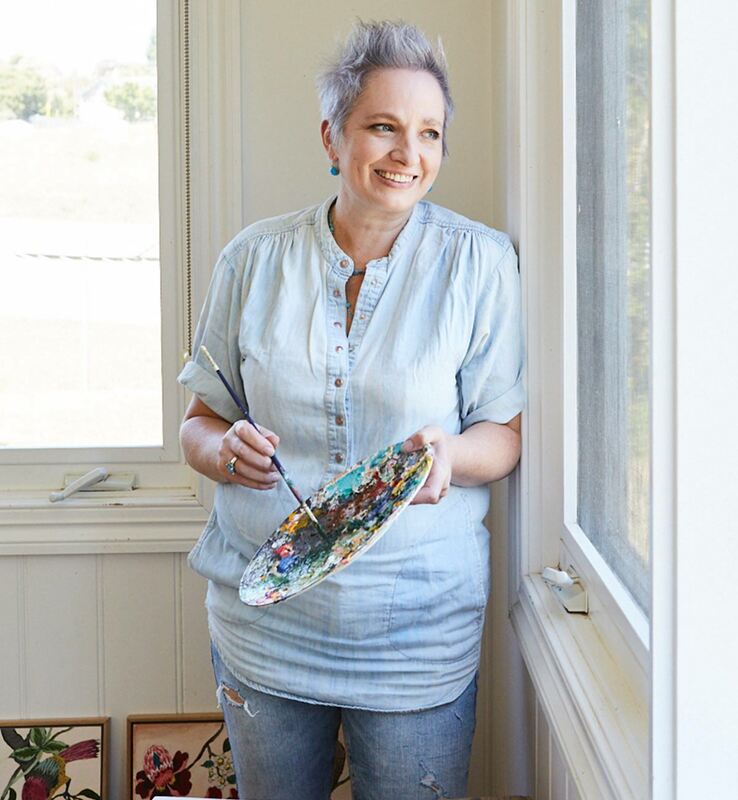 Anna further developed this love of nature and painting which resulted in her refining her skills at Ballarat University where she completed a Bachelor of Arts, majoring in painting. Shortly after, she moved to Melbourne where her works found prominence in the emerging arts and theatre culture in Fitzroy. Anna spent the next part of her life back in Ballarat where she has raised her 2 children and continues to paint daily. She regularly exhibits and with newer forms of access and communication her works are known and sold around Australia. Subscribe to Anna Placidi "wish list" to be the first to know when we receive more of her artworks!